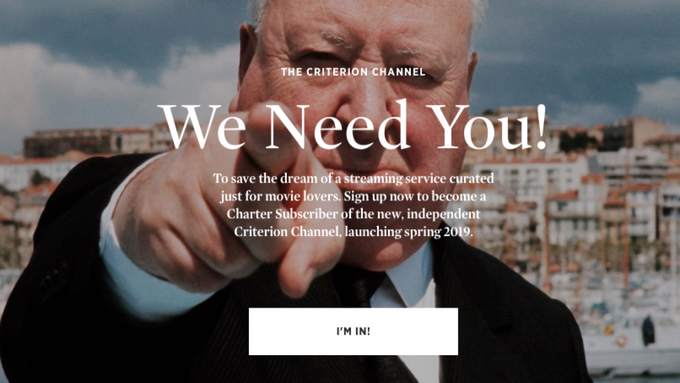 The good folks at the Criterion Channel released a new trailer promoting their new streaming service that is set to launch on April 8th. Here is their new trailer, how many of the films in this trailer have you seen? For only $9.99 a month or $89.99 a year movie buffs can have access to more than 1000 of the best gems of both modern and classic cinema. I signed up way back when they first announced the service was looking for Charter Subscribers. I figured I would share this trailer as a friendly reminder to those of you who may have forgotten or may not know that such a service exists. For true lovers of film, this is indeed a beautiful service.